Life is full of beautiful moments, but for us, most of them tend to revolve around a glass (or two, or three…) of quality mead. It has been the fuel for many a raucous night with our friends, and it has led to deep and winding conversations in which the world has been well and truly set to rights. In short – as you’ve probably guessed, we’re more than a little obsessed with the stuff. OK, we may be getting a little carried away there. However, it cannot be denied that mead is an especially evocative tipple, and one which isn’t just for quaffing messily from a drinking horn with the din of battle behind you. Indeed, we’d argue that while there’s a time and a place for more lighthearted drinking of mead, there’s also plenty to be said for taking mead drinking a little more seriously. We’re not suggesting you become a full-blown wine-style snob when it comes to mead, rhapsodising excessively over the slightest suggestion of different notes and flourishes of flavour. We’re just saying that, with a bit of concentration, preparation and dedicated time, you can take your mead drinking to the next level, and learn to truly appreciate your mead’s subtleties. Want to know how? Check out our five steps to true mead appreciation below. Some traditional meads and darker meads have plenty in common with full-bodied red wines. They’re both packed full of flavour, derived from natural ingredients, and feature the kind of volatile aroma compounds that can really benefit from a few minutes of ‘breathing’ in the glass or via the open neck of your bottle. By leaving your mead for a few minutes to breathe and open up, you’ll give the rougher edges of the drink the chance to smooth themselves out and soften. The result will be a far more palatable experience – flavours and aromas will express themselves more fully, and the initial harshness of certain meads will have faded away. While the precise science of ‘breathing’ your mead (and wine) has been debated for absolutely ages, it’s worth giving this process a try – you might notice a significant difference. Listen, we’re all in favour of necking your mead from a drinking horn, pewter goblet or tankard when you want to rock the full-on medieval king vibe. However, if you’re looking to raise your overall mead drinking experience into something more meditative, thoughtful and appreciative, then getting the right glassware for the job is key. Firstly, we’d recommend opting for a drinking vessel made out of clear glass and crystal. Enjoying and appreciating the colour of your mead should be the first step of your drinking experience – meads come in a massive range of soft honey tones; from the palest gold to the deepest amber, and taking a moment to absorb yourself in these colours is an important first stage of the tasting process. 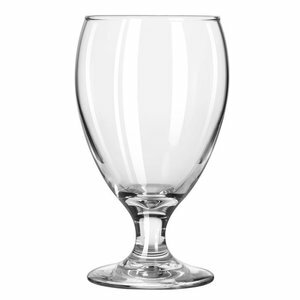 Stemmed red wine glasses are probably your best bet for mead tasting. The wide bowl allows the aroma of the mead to fully manifest, and it also provides an adequately large surface area for the evaporation process to do its thing. The same effect can also be achieved with a brandy snifter, so feel free to experiment and figure out what’s best for you. When it comes to tasting almost anything properly, temperature is really important. With mead, you need to be careful that you aren’t pouring a glass straight from the fridge – this is really going to hamper your ability to taste the drink properly. The reason for this comes down to the way aromas and flavours are released from a liquid. When the mead is too cold, it will be ‘closed’ – that is, it will be more stable, and won’t release the gases required for proper appreciation. The general recommendation here is to treat your mead like a red wine, and serve it at cellar temperature (around 52 – 70 degrees fahrenheit). 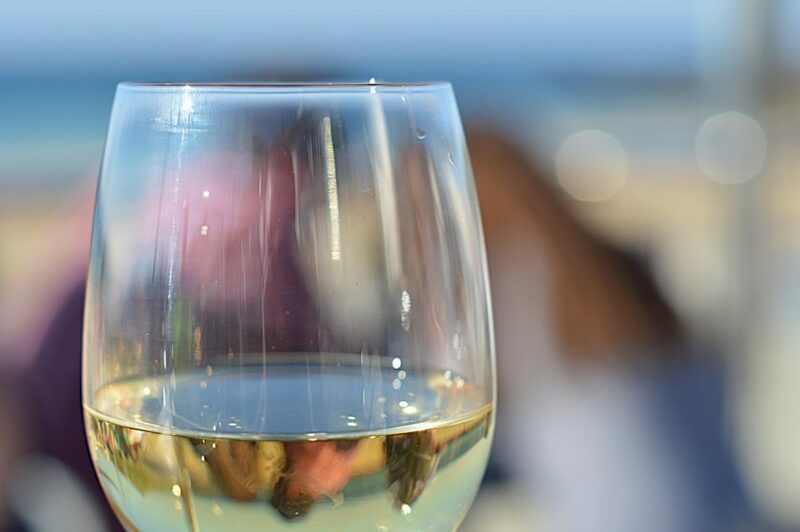 Lighter meads can be slightly chilled to a similar temperature at which you’d serve a full-bodied white wine. If you’re mulling your mead, of course, this advice can be ignored – get it heated up in your trusty cauldron, spike it with plenty of spices, and let it warm you to your toes. Take a moment to enjoy the colour of your mead, and hold it up to the light to see how this changes the tone of the liquid. Swirl it a little – does the mead have ‘legs’ – those rivlets of liquid which cling to the side of the glass? How viscous or sticky is the mead? All of these things should be noted before moving on. Give your mead a decent swirl around the glass, with one of your hands covering the top of it. Remove your hand, and give it a good sniff, deeply inhaling the aromas which have been released. As you take in the fragrance of your mead, allow your mind to wander into its depths. Is the smell pleasant, or not? Does it remind you of anything? Sniff again, and try to seek out those subtleties which every good mead presents to the drink – what else is there hiding in those golden depths? All honeys have their own distinct characteristics, depending on the flora which the bees feed from. Can you pick up any particular floral scents in there, or traces of spice or fruit? Finally, it’s time to put your palate to work. Take a slow and deliberate sip of your mead, drawing in a little air as you do so (if you’re alone, feel free to slurp as you wish – we aren’t going to judge you). Let it run across your tongue and cover each part of your mouth before you swallow. There are three distinct stages to tasting mead. That first hit of flavour that you experience is known as the attack, or ‘fore’. Once that’s begun to fade, you’ll come across the second, or ‘mid’ flavours. After swallowing, you’ll be left with the aftertaste. Each stage may bring different notes, and have different things to say about the mead. Take your time to identify any flavours that leap up at you, and hunt out those that skirt around the peripheries. You may be surprised at what you find hiding there. So there you have it – our brief guide to truly appreciating and admiring your mead. It’s not necessarily something you need to do with each and every bottle you open – after all, if you’ve found a mead you really love, you’re likely to return to it again and again, and will know more or less what to expect on repeat tastings. However, following this process and the tips in this article will really help you to develop and train your palate, and allow you to really get a kick out of each mead you buy. In essence, treat your mead with the respect it deserves, and take a bit of time to delve deep into the wonders it holds. This is a drink that has been treasured for millennia, after all… and not without good reason. Benjamin Mitrofan-Norris is a wine and spirits journalist from Bristol, UK, who fell in love with mead while exploring the ruins of Lindisfarne and the Viking capitals of Scandinavia. He splits his time between England, Hungary and Romania, and regularly champions the fine produce of Eastern Europe back home in the UK. Aside from drinking, he enjoys playing medieval musical instruments, writing strange poems, and travelling with his kids.